Why Buy Heavy Duty Hinges from OEM Kiesler Machine? – Kielser Machine Inc.
Kiesler Machine Inc. provides industrial products and components for heavy duty applications. Our primary products are heavy duty hinges. To ensure that we can meet the diverse requirements of customers, we focus on OEM of heavy duty hinges. Why Work with OEM Kiesler Machine? 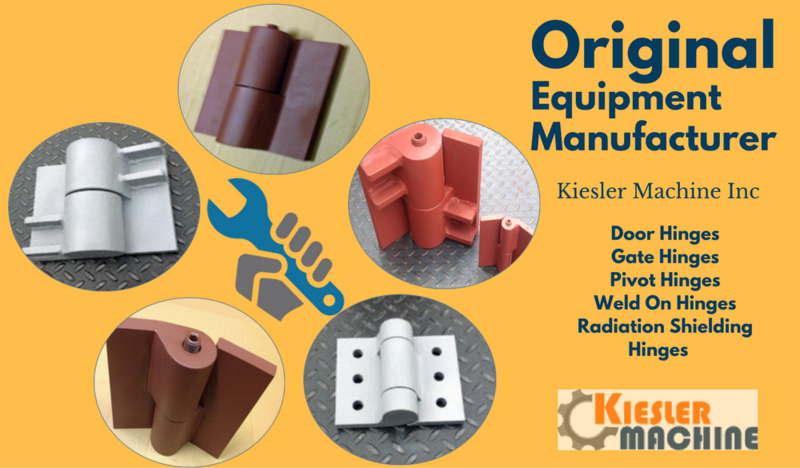 Kiesler Machine provides a variety of hinge solutions that you will not receive from our competitors. These include types, features, and applications. Our hinges are unique due to the immense load bearing capacity. They are designed with thrust bearings, which allows them to handle large amounts of weight. We produce our hinges using types 304 and 316 stainless steel. The advantages of these two steel types include high pitting and corrosion resistance, weldability, and machinability. 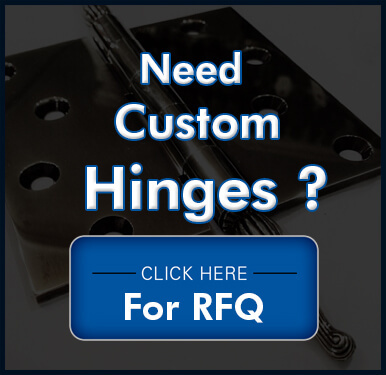 We provide hinges that can be installed either by welding, or with mounting holes. Beside thrust bearings, our hinges can also be designed with needle bearings to ensure smooth operation on heavy industrial doors. Our hinges can be used with doors weighing between 1000 and 40,000 lbs. The hinges can provide radial load of up to 25,000 lbs. 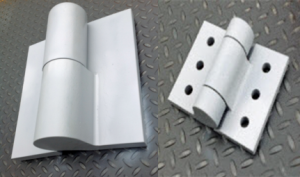 All our hinge products require minimal maintenance and repairs. As an original equipment manufacturer, Kiesler can also design heavy duty hinges in custom designs’ and sizes. We can ensure that the thickness, hinge pin material, and hinge weight is as per your requirement. If you would like more information about our products and services, please feel free to contact us. We would be happy to answer any doubts or queries you may have.